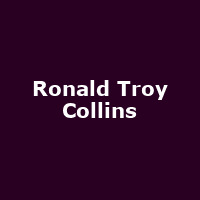 "In a modern world, Ronald breathes new life into the traditions of soul, gospel and RnB greats. He sings with the emotions of a soul who has wandered through the highest highs and the lowest lows in life. After being exposed to crack cocaine in the womb, sleeping 30-plus years on the streets of Los Angeles' notorious Skid Row and surviving 27 years of brutal prison life, Ronald's is a real world story of the rags to riches experience." Ronald was the subject of the 2017 film, "Mighty Ground", directed by the award-winning director, Delila Vallot.